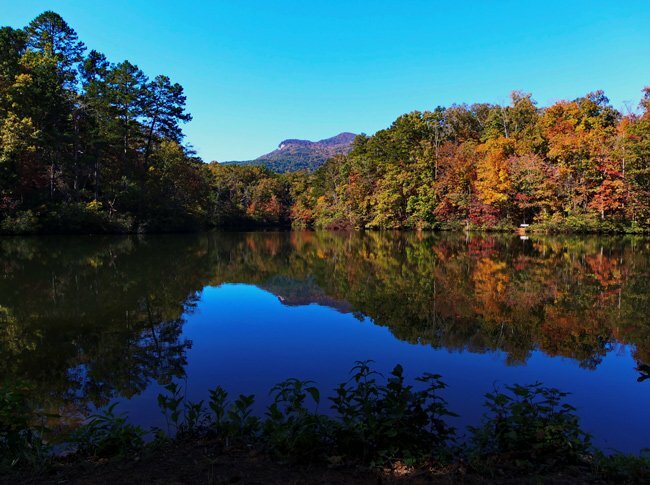 The calm waters of Pinnacle Lake draw the eye to the peaceful majesty of Table Rock Mountain in Pickens County. 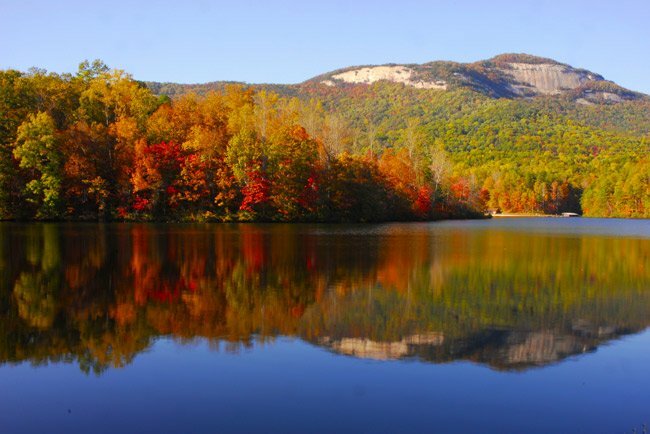 This area is part of Table Rock State Park, which spans 3,000 acres. 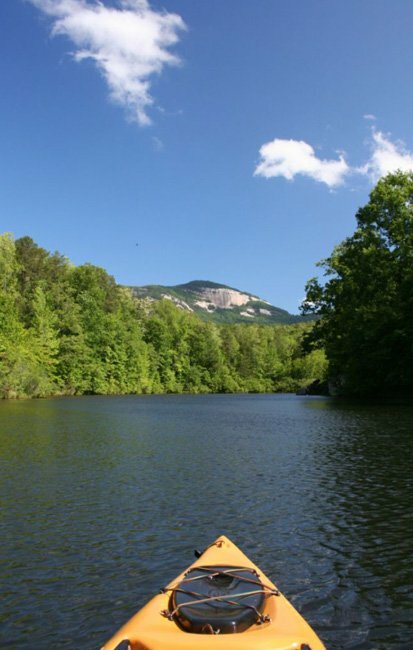 This 36-acre lake is a popular place for fishing as well as canoes and kayaks. 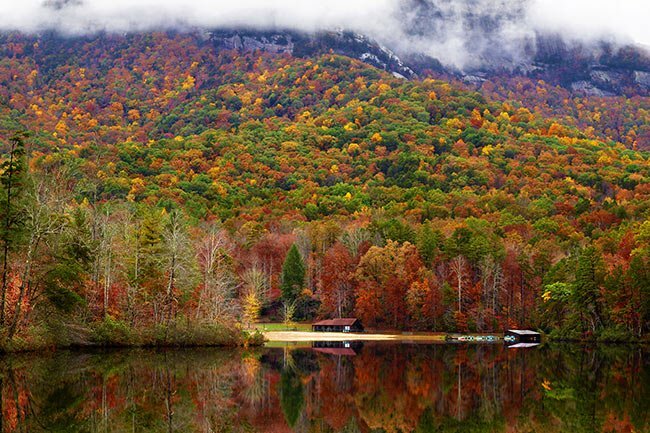 Visitors can even rent pedal boats and enjoy the scenic mountain beauty of Table Rock. 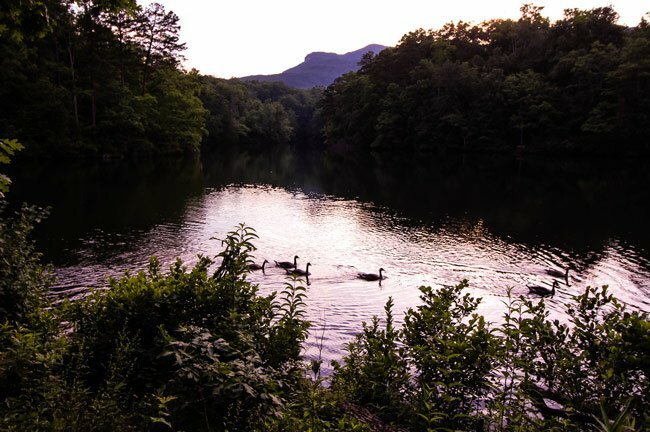 Table Rock State Park also has many camping areas, meeting facilities, and an historic lodge – most which were built by the Civilian Conservation Corps in the 1930s. These structures are listed in the National Historic Register. Pinnacle Lake is a great place to relax your legs after a full day of hiking to the summit of Table Rock. From the quiet lake, paddlers can view the impressive peak and reflect on the beauty and challenges of reaching the mountain top. I have camped there. I like the upper campground. Kayaked the lake. Great place to stay. And excellent central location for driving the SC mountains.